The first Polish family that hid Paula in Warsaw. 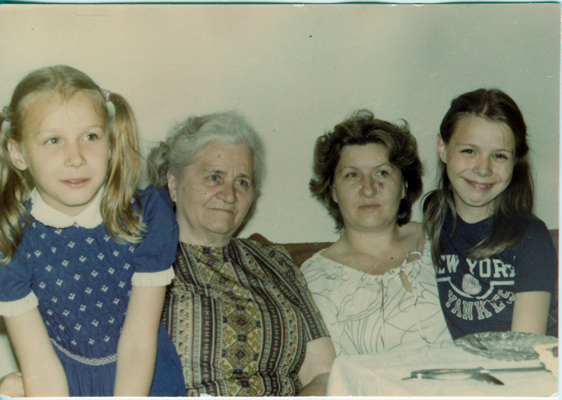 Left to right: Pauline [Anna's daughter], Jaroslawa Wozniak, Anna Banaszek [née Wozniak; Jaroslawa's daughter], Caroline [Anna's daughter]. Photograph taken in Warsaw, 1979, by Mark Popowski.